A look at what you need to do in order to unlock Huntress in Risk of Rain 2. In Risk of Rain 2, players have the ability to get new characters including one called Huntress. While some characters may be harder to get, others like Huntress can be quick and easy to acquire, making the process of unlocking all characters in Risk of Rain 2 a worthwhile endeavor. Because Huntress is such an engaging and fun character to play, we feel it’s worth the effort to run through the process of unlocking her. If you’re having a hard time getting Huntress, we’ve got you covered. Below, we’ve put together a quick guide on how to get and unlock Huntress in Risk of Rain 2! Get past the third teleporter event without dying to get Huntress in Risk of Rain 2. Like other characters in Risk of Rain 2, you’ll first need to unlock Huntress in order to use her. Unlike characters like Artificer, Huntress is actually an easy character to get. The requirements to unlock Huntress note that you’ll need to reach and complete the third teleporter event without being killed. This third teleporter event can be found in the ice level of the Early Access build in Risk of Rain 2. Not only will doing this unlock Huntress, you’ll also earn the Warrior achievement. While it may take a few tries to reach the third teleporter without dying first, running through this challenge a few times is all that’s needed to master the skills necessary to meet these requirements. Alternatively, if you’ve tried and failed several times, you can also adjust the game’s difficulty settings. By adjusting the difficulty settings, you’ll have a better chance of reaching that third teleporter. What’s nice is that getting Huntress isn’t tied to a certain level of difficulty, meaning you’ll be able to unlock her on any difficulty setting you choose. Another thing to keep in mind is to avoid going through portals, or doing anything that may disrupt your progress as you work your way through the third teleporter event. To recap, you can get Huntress by making it past the third teleporter event in Risk of Rain 2, which is found in the ice level of the Early Access build. There’s no requisite difficulty setting, meaning you can lower it if you’re having trouble. By getting past this third teleporter level, Huntress will unlock as well as the Warrior achievement. 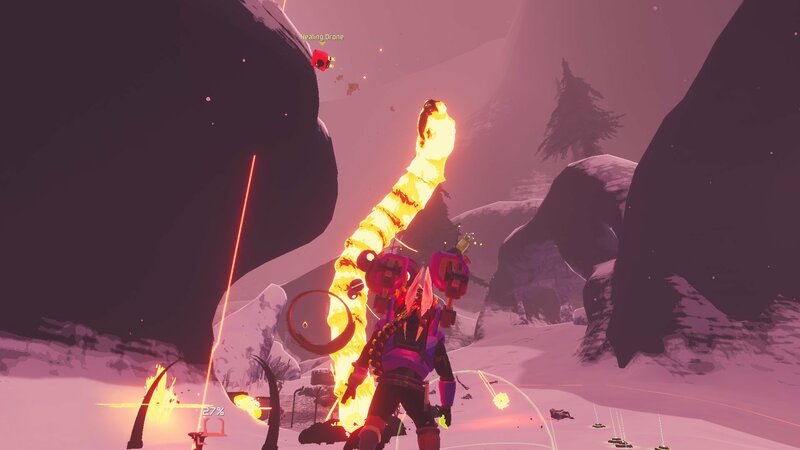 Now that you know how to get Huntress in Risk of Rain, be sure to check out our previous guide where we explain how to get Artificer in Risk of Rain 2.